Now I know that they may be the “animal” of the decade, and that they’re cute and “so fluffy I’m gonna die!“, but I was thinking about unicorns as I put my recycling out this morning (Friday is recycling collection day). The amount of rubbish that’s left out in my street equals about five times the amount of recycling that’s left out. Our household’s is the other way round… our rubbish bag is very small and we recycle everything that can possibly be recycled. Anyway, this morning I was stunned at how many black sacks of rubbish there were and we’re not even anywhere near Christmas yet. At Christmas you can barely move for rubbish everywhere, and what you see a huge amount of is packaging from toys, beer and wine bottles, and huge black sacks full to the brim with what’s probably wrapping paper, ribbons and gift tags. Okay so don’t get me wrong, I’m no bah-humbug by any stretch of the imagination – I love Christmas as much as an average eight year old – but unnecessary landfill is one of my pet peeves in life. On Christmas Day I go through all the wrapping paper and pick off all the ribbons and tape and save as much as I can to be recycled or reused… it drives my family nuts. But landfill is evil. And unicorns are partly to blame. So to explain why unicorns are dangerous (poor unicorns! I’m giving them such a bad rap here): It was after I read a particular article about glitter that I really stopped and thought about how much damage we’re doing to the environment with all the sparkly stuff that Christmas brings and the trend for glitter in beauty products. Last year I was told not to put sparkly or metallic wrapping paper into the recycling because it can’t be recycled. I’m guilty of buying that. I’m also guilty of buying (and making, which I did before blogging took over my life) Christmas cards with a ton of glitter on them. And this is what I read: glitter is in such abundant use in manufacturing at the moment with our love of unicorns, mermaids and everything sparkly that it’s getting into the water system when we wash it off our hands and faces and throw glittery things away. The glitter isn’t biodegradable – it eventually ends up in our seas and is basically killing sea life. Plastic is horrific enough; we know about giant garbage patches and that there’s one twice the size of Texas off the coast of California, but glitter is practically microscopic. How on earth do we stop it getting into the ecosystem? There are essentially two things we can do: Stop buying throwaway glitter products (or buy biodegradable glitter – it’s ethical, it’s eco-friendly, it’s cruelty-free) and non-biodegradable (beauty) products full stop. And stop buying Christmas cards with glitter on them and wrapping paper with glitter on them and that ribbon you curl with scissors (can you IMAGINE how many seabirds and other animals get that caught around their necks or swallow it?). Let’s stop buying it all. Let’s go for eco-friendly wrapping options. Let’s buy cards that are 100% recyclable – no fancy stick on bits. Let’s stop buying plastic bows. 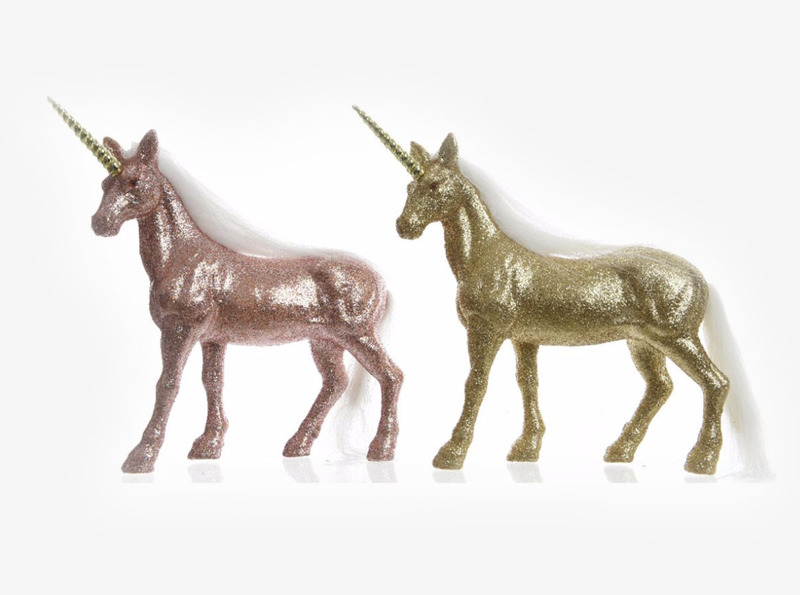 But let’s still buy unicorn shizzle, but avoid the glittery unicorn shizzle. Let’s stop leaving out more black sacks than recycling on the first bin day after Christmas and keep the seas happy… who’s with me? P.S. The unicorns in the main photo are from Kaleidoscope and the hair glitter is from New Look – I’m only linking them as credits for the photos, of course I’d rather you didn’t buy them…! I had no idea that glitter affects both the environment. I usually use zeal for gifts, and with a bit of tape to make more handmade things. Sharing with my friends about this. Thank you for your post and this information…but it makes me sooo sad in various ways. I LOVE glitter, but now I know I must stop buying it or items that have it on there. Yes, sooo much trash and then the “ trash” that could be recycled or the recycled items that should be trash! Sigh. I am the same and grab all the gift paper, boxes, ribbons, bags for reusing or recycling. I also bring home Keurig pods to at least compost the coffee in them. (Yes, I am THAT person) I know balloons are bad but now no glitter?? This one is tough but it makes sense. Thanks for spreading the word! What about online ordering and all of that packaging? Would love a post on that…or maybe you already have one…I’ll have to take a look! I too recycle everything I possibly can, and I'm also very concerned about environmental issues, but I must admit I hadn't considered the problems associated with glitter and sparklies before now! 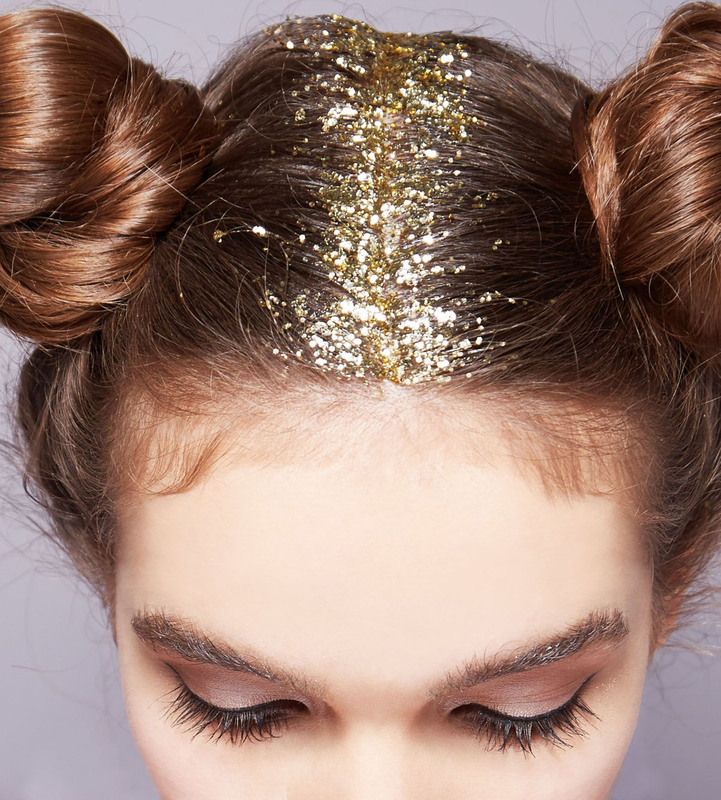 Thanks for drawing our attention to this, and I pledge to be a glitter-free zone this Christmas, and from now on. Ugh. First of all, I can't seem to correct my old name. The new name is Catherine Lartigue. I like my French name better. OK. Now that the deeply shallow me has gotten that cleared up, I'm so glad that you posted this! Secondly, I'm that other Catherine who does the same as you when it comes to saving old ribbon, wrapping paper, etc. I've just done a blog post and a youtube video on starting the Holiday decorations and trust me, it's done on the cheap and recycled! Thanks for the information regarding glitter. I had no idea. THen again, I'm not a glitter person. I can't stand glitter for the mess it makes in the house–vacuuming that $hit up drives me nuts. I believe the last time glitter was in the house was when the children were young and the mess it made was the first and last time. Well said Catherine. I make all my own clothes because the fashion industry generates huge amounts of waste. Your blog and others give me lots of ideas. Thank you. Haven't used glitter for anything in years. Thanks for telling me why. I have to agree that we all make too much trash. Although I wasn't aware that glitter was so damaging, I never buy anything with glitter because of the messy factor. I almost hate it when someone give me a gift with that glittery tissue paper…UGH! Catherine, I did not know this about glitter, so I am glad that you have educated me. Although, I have never been one to buy anything glittery anyway because quite frankly I hate the stuff! It gets everywhere. It sticks to everything. And it haunts you for months after as you find the sparkly bits in the strangest places. I have always hated glitter and you have given me reason to hate it even more. But I do LOVE unicorns! The unglittery kind, of course. And my recycle bins take up way more space curbside than my one lonely trash can! For the holidays, I prefer gift bags and then I keep them all and reuse them over and over again until they fall apart! My sister is still using gift bags from 2005 or earlier as evidenced by the layer of gift tags that have my mother's name on them (she passed away in 2006)! Gotta love it! So I suppose I will pat myself on the back for a job well done! Keep spreading awareness and keep recycling! It s fantastic that we are more aware and to write posts like these is very important. Thank you! Not just unicorns and glitter but also cleansers and exfoliators with micro beads – so many brands still have them, and I avoid like the plague. Excellent post Catherine, well said!! I hadn't stopped to think about glitter -not that it passes through my front door with an 8 year old boy anyway – but I will be extremely vigilant about it from now on. Yes microbeads too! Let's get rid of those while we're at it. I couldn't agree more Catherine! I feel my comment on this (complex) issue could be longer than your post so I'll (try) to keep it short and sweet. I WANT to be super eco friendly, ethical, organic, and all of the 'good' things that I know are good for the planet (I studied environmental science at uni and remember being in despair for most of my teenage/early 20's life) . Modern life is completely killing our planet… these images of plastics in the ocean, microbeads in face scrubs and glitter break my heart. BUT We are also partially responsible for fueling the frivolous shizzle by blogging about fashion etc. In an ideal world we would all wear only what we needed, and it would be handmade and biodegradable. Back in the real world…. I do what I can. Recycling is pretty good here (our council is one of the good ones). More gets recycled than landfilled and avoid polystyrene, excess packaging, unnecessary plastic crap. BUT sometimes we can't escape. If only they knew what utter shite was produced in their name, they would be horrified!